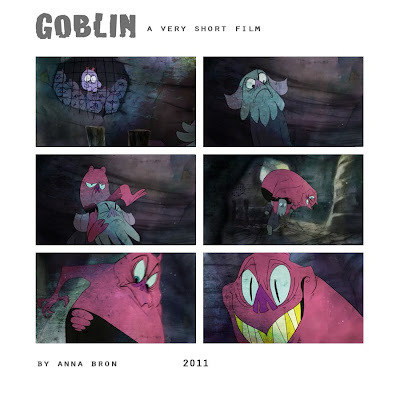 Goblin (trailer) from Anna Bron on Vimeo. Some excerpts and a trailer for my film. Unfortunately I cannot put the entire film at this time as I will be entering it into festivals. wow that looks wild! awesome! it looks so adorable I wish I could come see it. Your film looks amazing!!! The Design are super cool. It'll be a success for sure. I can't wait to see it! This looks sick. Did you just finish this? Woah looks friggin' awesome Anna, great way to start a Monday. Thanks for putting it it up! yay yay yay it's done it's done it's done!!!! can't wait to see it on wednesday! Great job Anna, it's really cool, love the characters. I want to see it !! !